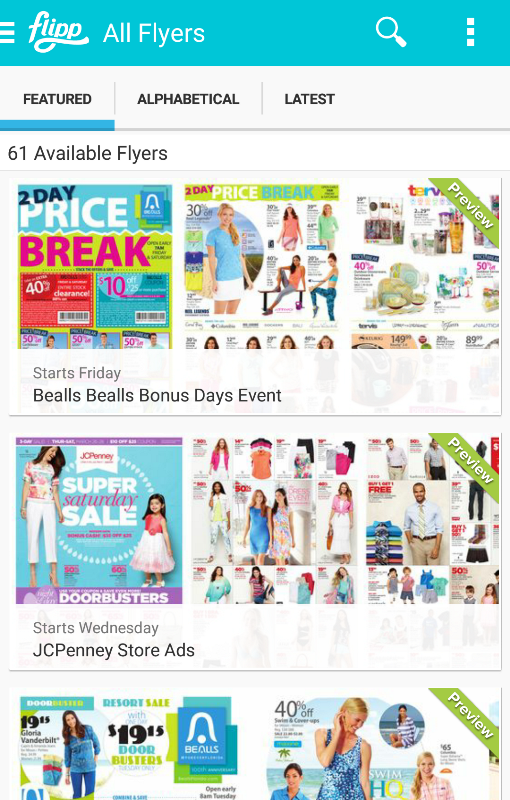 Flipp is an Android app that offers the convenience of finding your latest weekly circulars aggregated neatly on a simple interface that is directly accessible on your smartphone or tablet. 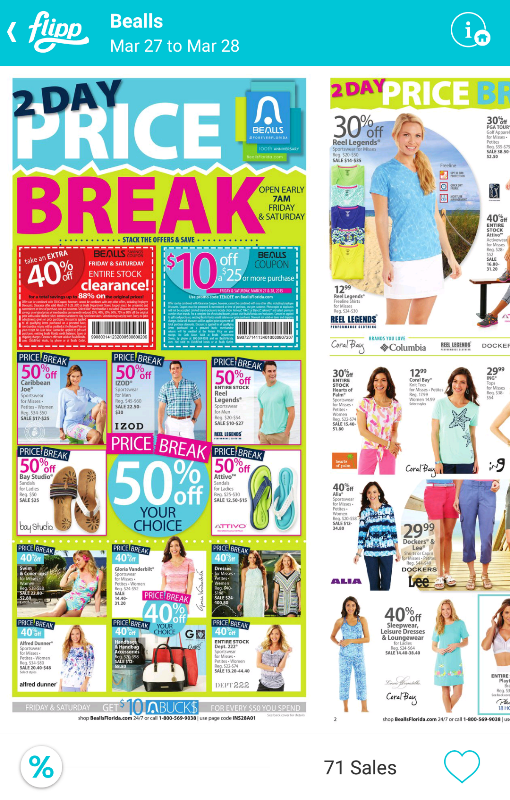 If you used to read the Sunday newspaper, you have seen this kind of circulars. 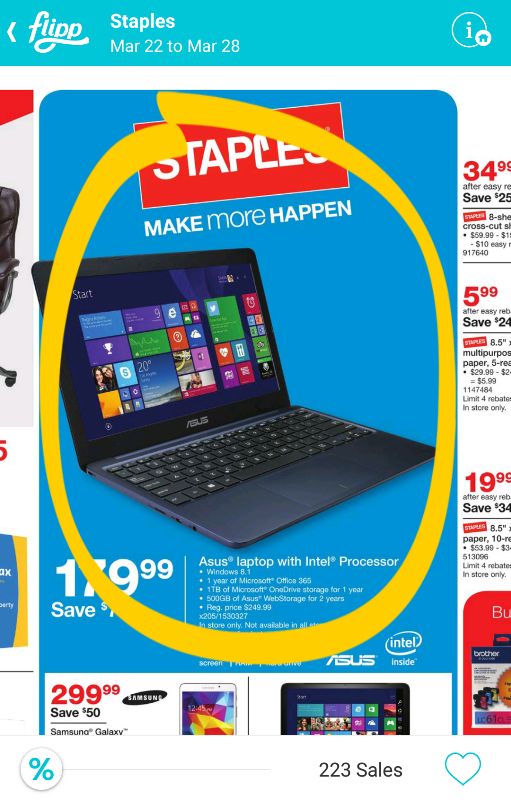 Basically, these are ads from various shops near you that usually show what products are hot and what items are discounted. 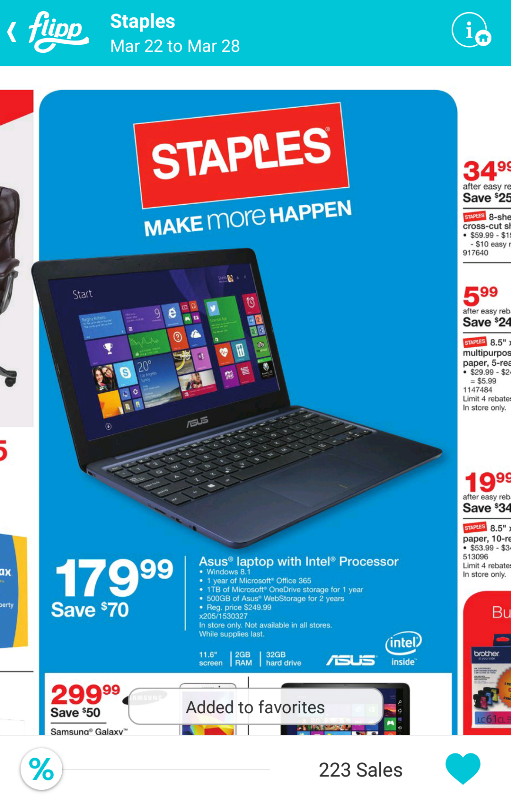 These circulars are of great use for practical shoppers, especially when Black Friday is just around the corner. 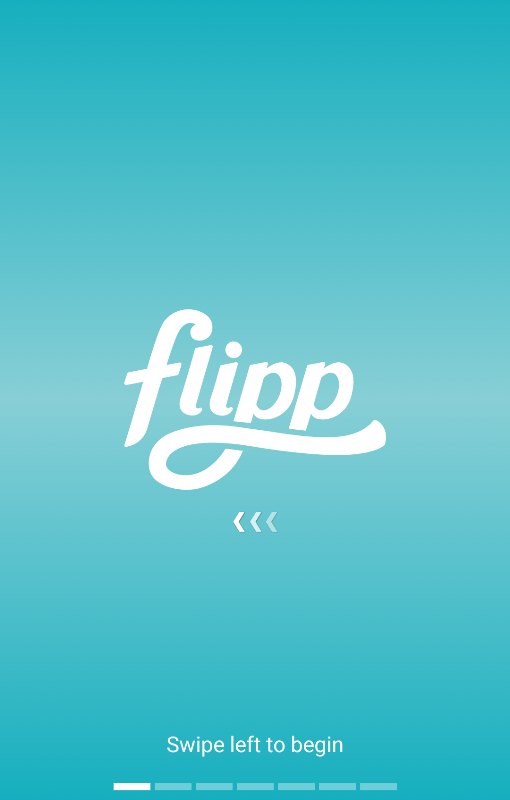 Flipp is offered by Wishibi, Inc. It is compatible with devices on Android 4.0 or better. 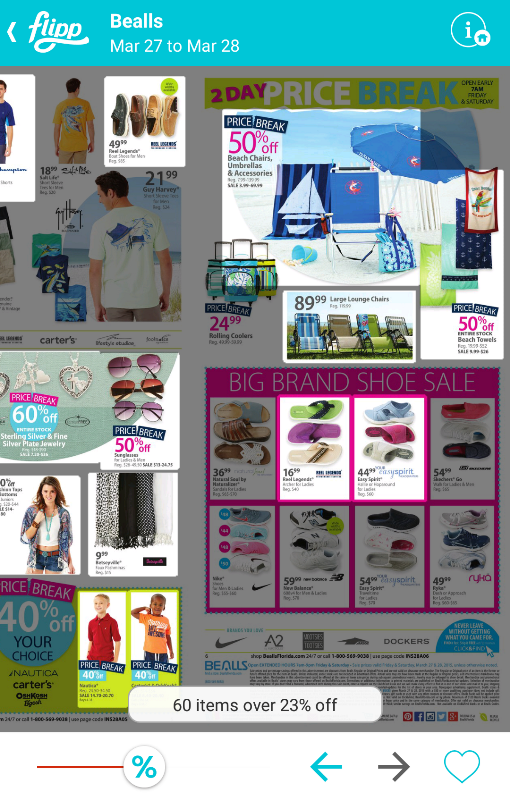 Flipp is a lot smarter and more convenient than the average Sunday’s newspaper flyer and weekly ads. Upon loading, it will simply require to input your ZIP code or postal code so it can show you relevant circulars. For example, we entered a ZIP code for Jacksonville, Florida and it showed 61 available flyers. Additionally, the flyers it showed appeared like virtual replicas of real ones. 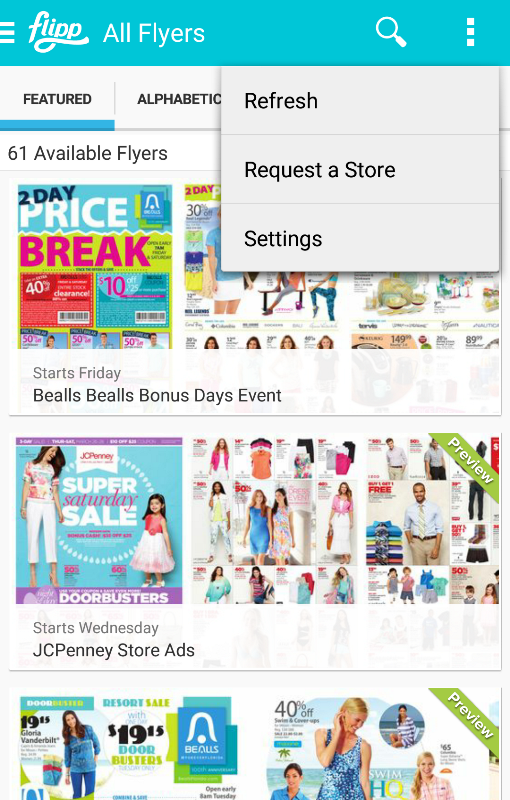 Aside from seeing the flyers, it lets you search the stores and the specific items that you are looking for. Therefore, it helps you scan through different stores in your area to find the one that offers the best price for the item that you are looking for. It also sorts the flyers intelligently. You can choose to see only the Featured flyers. You can also view them alphabetically or based on the latest ones available. Like the real thing, you clip an item that you want or interests you. To do this, you simply double-tap to zoom in and tap once to clip the item that you like. A virtual ink will neatly circle the said item. You can also mark flyers as a favorite so you can easily go back to it. Simply tick the heart icon at the bottom. 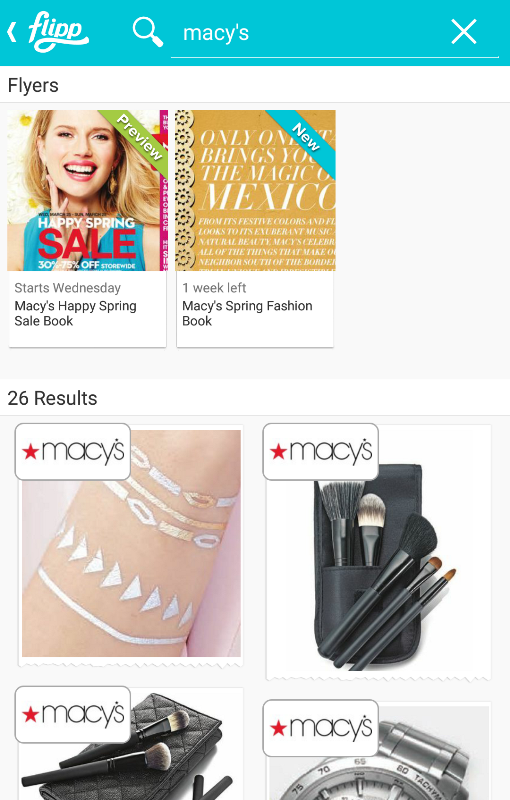 This feature lets you move a slider at the bottom of the screen so it will highlight items on the flyers that offer the specified discount or higher. When you move the slider, matching items will light up while the other items will be darkened to the background. For instance, you specify the discount as 23% and above, the items with discount equal or higher than 23% will be highlighted on Flipp. 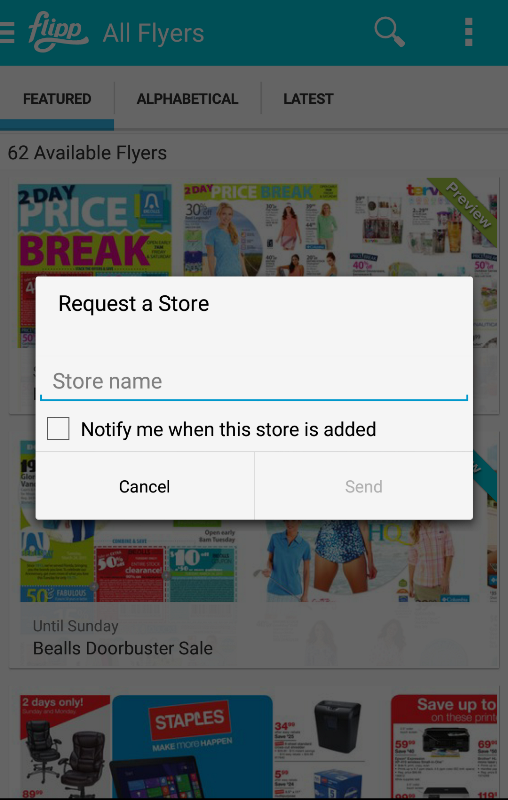 Flipp has another simple but very useful feature called “Request a Store”. 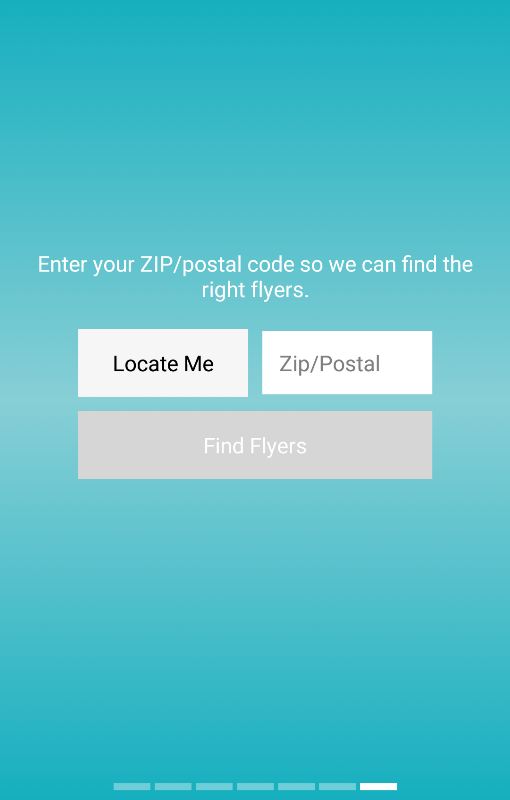 By using this feature, simply set name of the store you want to be on Flipp and the app will notify you once flyers from the said store are made available.